It was the day after Kelly and Andrew’s wedding and we were all getting amped up for another photo session! 1. Kelly and Andrew get a chance to have two locations for their wedding photos! So instead of just having a vineyard wedding, Kelly and Andrew got to have a vineyard/cliffs/field/ beach wedding!!! It’s the best of all worlds! 2. We have the time freedom to let the photos take us to where they need to. Needless to say, we’re on a pretty tight schedule on the day of the wedding, so going out the day after allows us to have a chance to give Kelly and Andrew’s photos the time they deserve to get them JUST right! 3. We have a second chance for good weather if it happens to be raining on the wedding day! Actually, this time we were a little worried about it being rainy the day after the wedding . Luckily, it turned out that we (Scott and Breanna) were just looking at the wrong location on the weather app (phew!). The actual Laguna we were going to that day had the kind of clear skies and bright sunshine that Kelly and Andrew really wanted! 4. Our hands are untied! All of the constraints that go hand in hand with a wedding day are gone and we are freed up to shine and to get the “wedding day” photos that are typically our couples very favorites!!! So Kelly and Andrew, thank you for giving us the opportunity to do our very best possible for you and for being so great in planning the perfect Unique Session. You did a great job coming up with the props, location, and all! You really put the effort in to make it great and I think it was well worth it! Congrats again! We can’t wait to see what great things you do together in the future! Click to see Kelly and Andrew’s wedding photos. 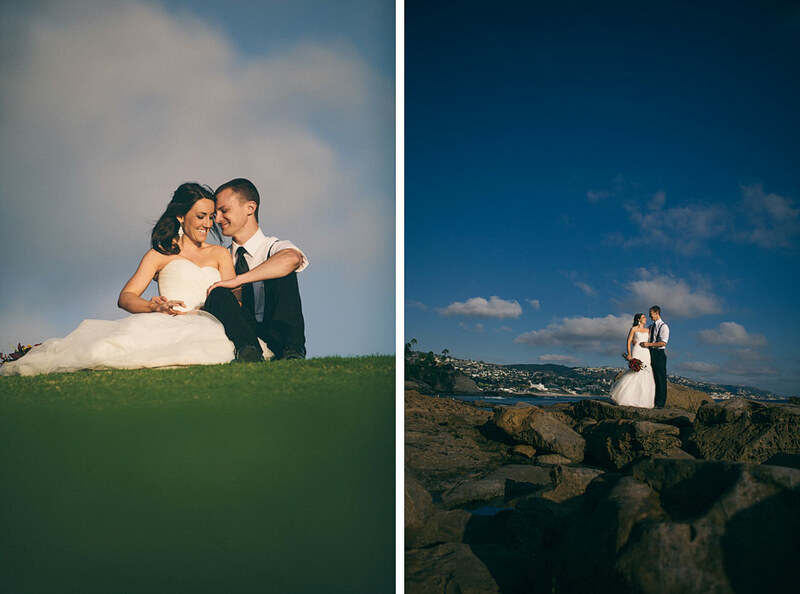 Click to see the rest of the photos from Kelly and Andrew’s Sunny Unique Session. A gorgeous vineyard wedding set in beautiful southern California with perfect sunshine, hills all around you, and with the people you love laughing and enjoying life together. It sounds like a dream doesn’t it? I would think so too, had I not been there to experience Andrew and Kelly’s wedding and learn that dreams can come true… and do! 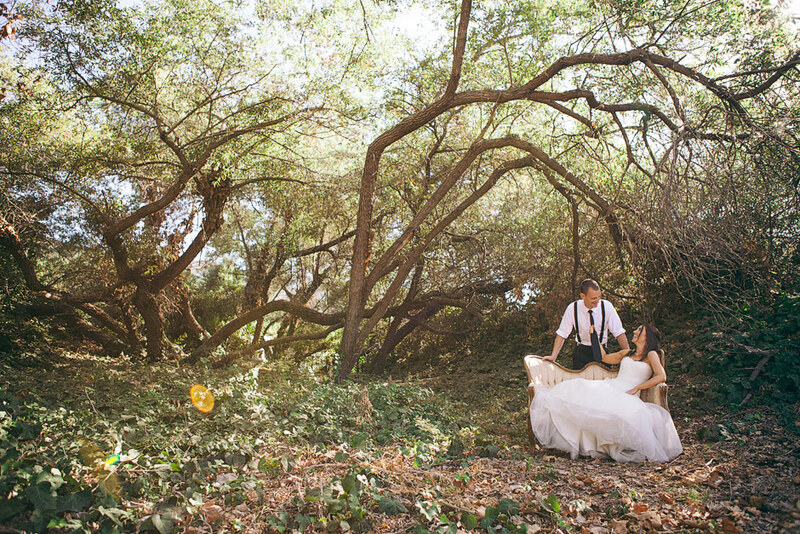 Just look at the amazing setting Andrew and Kelly chose for their wedding, it’s perfect! Not to mention, there were so many little nooks and crannies around Orfila Vineyards and Winery that we were able to get some super unique looking shots as well! And when I say their friends and family were really enjoying Kelly and Andrew’s wedding, it would be an understatement. Because this wedding was an amazing event to be a part of! (Bridal party praying around the couple during the ceremony). I think it was more than just the great party that Kelly and Andrew threw that made their guests giddy, it was also them getting the chance to watch two people who they love and care about commit to spending the rest of their lives together. It was definitely an occasion to celebrate! I mean, just look at these two! You don’t even have to be a close family member or friend to see that they are completely and madly in love! So Kelly and Andrew, congrats on not just planning a beautiful wedding with a fantastic party, but on finding someone you are so obviously meant to be with! We couldn’t be happier for you both! Congratulations! 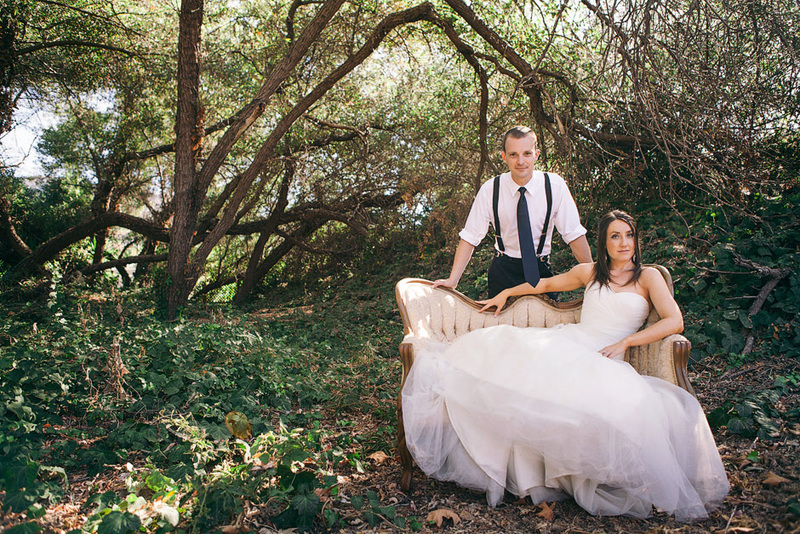 Click to see more of Kelly and Andrew’s Fun Vineyard wedding here. P.S. That’s not all! We went out with Kelly and Andrew for an epic photo shoot the day after the wedding! Like our Facebook page to tag yourself in photos and to be the first to see when Kelly and Andrew’s Unique Session photos (like the one below) go up! Just when we (Scott & Breanna) thought engagement sessions couldn’t get any more awesome…. ….Keri and Jason added their two year old son into the mix! No, that’s not true, he was having a blast! …or with whatever cool wall, beam, or pole happens to be near you that you think is awesome for whatever reason?! (He loved that stuff). The days don’t get any better than that for a toddler! Even if they involve lots of sand in the mouth and a pretty decent jean rash. What great day DOESN’T involve those two things?! But in truth, it really wasn’t all about him. It was about his parents. They are those other two people in the photos that you may not have noticed behind their son’s cuteness! But they were the real stars for the day. These are the two people who took a trip from Arizona to California with their two year old son, for the engagement session of their dreams that almost didn’t happen due to their trip taking a turn for the worst. These are the people who put in a lot of hard work to really earn their photos! I hope you guys love the photos and that they were worth all you went through to get them! I hope the rest of your trip was great and that the rest of your time between now and the wedding is amazing as well, because we can’t wait to see you laughing and having fun again on your big day! Click to see the rest of Keri and Jason’s family engagement session.